It’s the adrenaline rush that comes from chasing down a controversial story on a tight deadline that convinces most cub reporters that the career is a calling and not just a job. 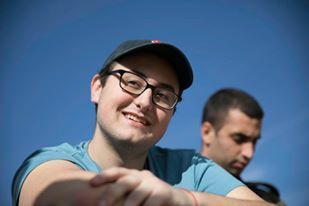 Eddie Samuels on Birthright Israel in January 2018. This was certainly the case for Eddie Samuels, an Atlanta native who joined the AJT in December after graduating from Tufts University. While pursuing a degree in English with legal aspirations, Samuels worked his way up the ranks of the college newspaper from sports reporter as a freshman to managing editor in his senior year. During his time in that latter role, The Tufts Daily became the center of national attention when former White House Communications Director Anthony Scaramucci threatened to sue the paper for publishing an unflattering opinion piece about him written by a graduate student. The op-ed questioned why Scaramucci, “a man who makes his Twitter accessible to friends interested in giving comfort to Holocaust deniers” should be allowed to sit on the board of Tufts’ school of law and diplomacy. He later resigned. The recent college graduate who grew up in the Brookhaven area, where he still lives, recaptured that breaking news excitement when he reported on deadline recently about the controversial map of Palestine on display at an Alpharetta school’s multicultural event. The March 8 article, “Jewish Leaders Respond to Anti-Israel Incident at Autrey Mill Middle School” is the AJT’s top performing story over the past few weeks, with more than 5,000 online views – and growing. Since joining the AJT as a staff reporter, Samuels has also written a few of our cover stories, including one exploring whether Jewish day school students have an advantage. As a former private school student, he certainly has some personal experience with the subject. Samuels was one of the few Jewish students at Holy Innocents’ Episcopal School, where his mother taught, and he attended through seventh grade. He described the Jews at the Christian school as very “close-knit” and several still celebrate Passover together. The plan was always for Samuels to attend a Jewish day school, and he made that switch to The Davis Academy in eighth grade. That year a tough, but influential English teacher instilled a love of the language in Samuels. “I had a string of very good English teachers” through high school at The Weber School. He says his favorite books and movies tend to be classics. “I love Hitchcock.” He also cited “Citizen Kane” and “The Shawshank Redemption” among his favorites. 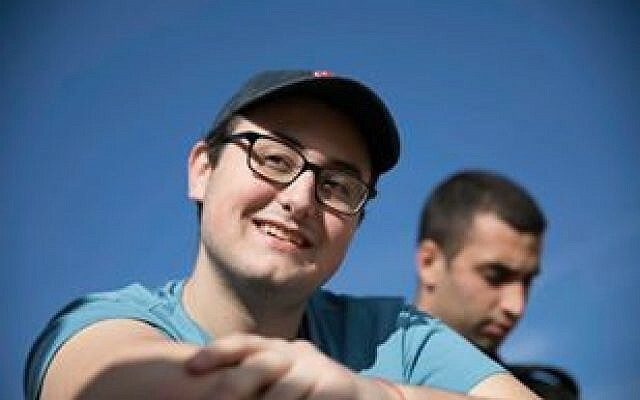 For fun outside of school, Samuels was a member of NFTY (North American Federation of Temple Youth) at Temple Sinai, and he served on the regional board as programming vice president his senior year. Writing a number of camp stories recently, Samuels was brought back to his years as a camper and counselor at High Meadows Camp in Roswell. And as the story continues, Samuels will be following it for the AJT every step of the way, along with other news fit to print. Stay tuned for more of what this budding journalist will uncover in Jewish Atlanta.